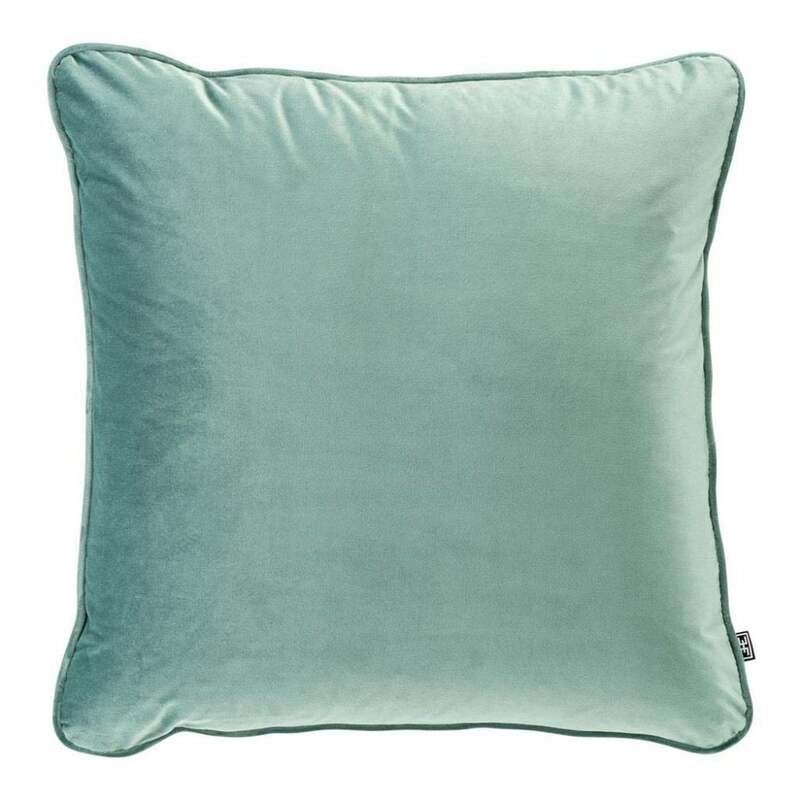 Add a pop of colour to your interior with the Roche Pillow by Eichholtz. Upholstered in a sumptuous Roche velvet, choose from a range of fashionable hues. Bold and stylish, the Roche Pillow will bring a touch of luxury to any interior setting. Layer complementary colours to add depth and texture to a sofa, bench or armchair. Why not try incorporating faux fur cushions into the mix for a luxe look. Each square pillow is upholstered in a different shade of high quality velvet fabric and filled with soft duck feathers for maximum comfort. Available in fuchsia, porpoise grey, turquoise, green, blue or black. Make an enquiry for more information.